Can risk factors for MRSA carriage be identified in veterinary workers, thereby reducing the risk of nosocomial infections in animal patients? 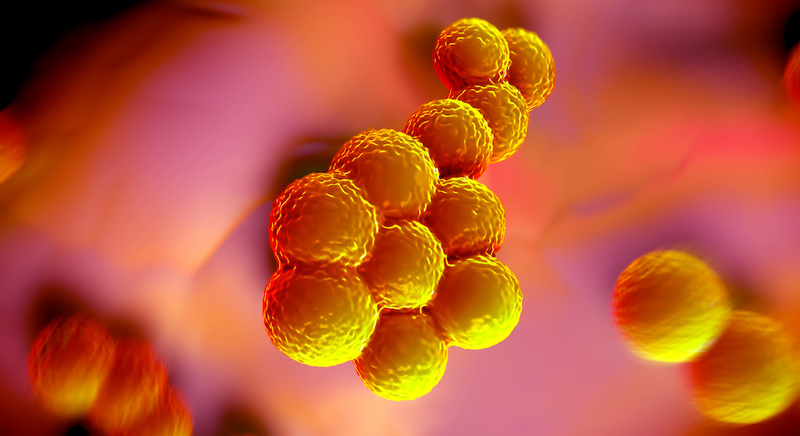 Methicillin-resistant Staphylococcus aureus (MRSA) is associated with nosocomial infections in hospitalized animals. A group of Japanese researchers previously showed that MRSA spreads within veterinary clinics and that veterinary staff carrying MRSA can be a source of infection in animals. This group subsequently performed a study to identify risk factors for MRSA carriage in veterinary professionals, the results of which were published in The Journal of Veterinary Medical Science. The investigators used data they had obtained in previous studies. Nasal swab samples for MRSA had been taken from 166 small animal veterinary staff—including 96 veterinarians and 70 veterinary technicians—working across 71 private veterinary clinics in the Ishikari region around Sapporo, Hokkaido from April to June 2008. MRSA had been isolated from 29 of the 166 veterinary professionals (17.5%), including 22 veterinarians (22.9%) and 7 technicians (10%). Data were collected regarding various epidemiologic factors, including gender, career (veterinarian or technician, duration of clinical veterinary experience), previous contact with animal patients suffering from confirmed MRSA, keeping companion animals at home, and established risk factors for MRSA among human medical practices (hospitalization, surgery received, dialysis treatment, catheter insertion within previous year, antibiotic treatment within the past month, and living with a human MRSA carrier). The investigators analyzed this information to identify possible risk factors. Veterinarians were found to be significantly more likely to carry MRSA than veterinary technicians (P = .030). Across all participants, males were more likely than females to be carriers (9.2% vs. 10%, P = .002), although male veterinarians were not shown to be carriers significantly more than female veterinarians (30.2% vs. 12%, P = .076). Indeed, multivariate analysis found that gender, regardless of career, was the only risk factor independently associated with MRSA carriage. Length of clinical career, contact with MRSA-affected animal patients, having companion animals at home, and the presence of recognized human medical MRSA risk factors were not found to significantly affect the rate of carriage of MRSA statistically. The authors pointed out that a previous study did not show a significant difference in MRSA carriage by gender; however, that study also showed a lower overall MRSA carriage (6.5% vs. 17.5%), which might explain this difference. Additionally, other studies have demonstrated that good hand hygiene is an important protective factor against MRSA in veterinarians working with horses, and that being male was associated with poor adherence to hand hygiene techniques. The authors speculated that poor hand hygiene may explain why males were found to be statistically more likely to carry MRSA. Dr. Sewell received her BVetMed MRCVS from the Royal Veterinary College in London in 2008. She worked in mixed animal practice before settling in Essex, United Kingdom, to focus on companion animals and exotics.